The forecast for today’s post is snowy with a taste of sunshine! Lemon Snow Cake is all you need to turn a snowy afternoon or any typical day into a luscious lemony epiphany. This is what summer sunshine tastes like…get to the kitchen and bake! Preheat oven to 350 degrees. Sift together flour, sugar, baking powder and salt. Separately beat together the eggs and vanilla, set aside. Beat the heavy cream on high until stiff peaks form. On low speed, add the egg/vanilla mixture until blended. Slowly add the dry ingredients until the batter is smooth. Spray two 8 inch pans with cooking spray. Bake for 25-30 minutes or until a toothpick comes out clean. Allow cakes to cool while you make the lemon curd. Cut the cold butter in chunks and set aside. In a double boiler, or a saucepan, bring water to a simmer. In a heatproof bowl over the saucepan, combine the sugar, eggs, lemon juice and lemon zest. Whisk the mixture constantly(pay close attention)for about 10 minutes until thickened. Remove from heat and add each butter chunk, one at a time. Whisk until melted and allow the lemon curd to cool to room temperature. 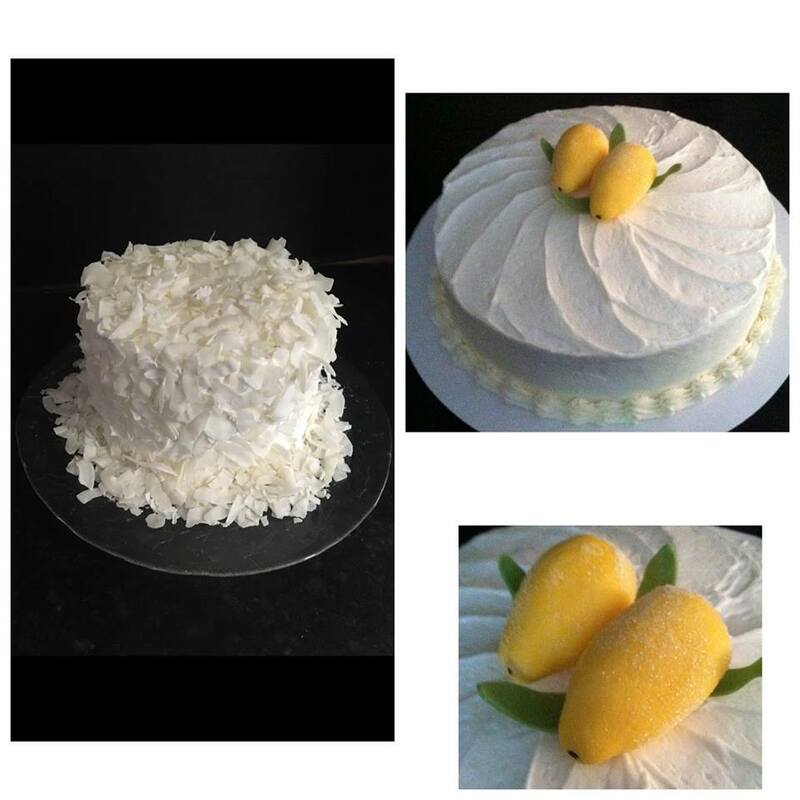 Use the lemon curd to fill and cover the cake, or just fill the layers with lemon curd and cover the cake with your favorite frosting, then place coconut surrounding top and sides of the cake.